"How to practice spirituality without religion?" ~Mark W. Gura, Exploring Your Life. Neuroscience finds that spontaneous acts of mindfulness decrease stress, depression and anxiety, increasing overall well-being. But studies also show that purposeful mindfulness techniques, such as vipassana or mindfulness meditation, are even more powerful. Mindfulness meditation re-wires the brain in a way that decreases physical pain and psychological suffering. 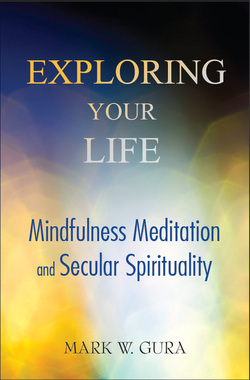 Exploring Your Life examines the different roles we play in life, the power of mindfulness, and the concept that inner peace does not require religion or gurus, belief in God(s), the afterlife, or the supernatural.